The main excretory duct of the liver, which carries bile from the liver and joins the cystic duct to form the common bile duct. emanating from or pertaining to liver. common in cattle as a sequel to rumenitis; characterized by fever, leukocytosis and pain on percussion over the liver. the angle made by the caudolateral border of the caudate liver lobe on abdominal radiography. shunt between the hepatic artery and the portal vein. a disease of dogs, due to unknown cause but possibly a toxin, characterized by nodular regenerative hyperplasia and atrophy of severely fatty hepatocellular parenchyma and gradually developing, always fatal, liver insufficiency. diffuse hepatic fibrosis associated with the formation of structurally abnormal, regenerative, parenchymal nodules. Initiated by hepatocyte necrosis. spoken of but recorded only once in a calf. a common feature of congestive heart failure and other circulatory embarrassments of venous drainage of the liver; occurs also in anaphylaxis. results from continued, chronic hepatic injury or the summation of repeated bouts of zonal necrosis; the resulting fibrosis links portal areas and hepatic venules and bisects liver lobules. infection of the liver with flukes, e.g. Fasciola hepatica, Fascioloides magna, Metorchus conjunctus. See also fascioliasis. an outgrowth of the embryonic duodenum; it divides into a pars hepatica and a pars cystica, forerunners of the liver and the gallbladder respectively. a reaction to chronic injury to the liver; includes biliary fibrosis, postnecrotic scarring, diffuse hepatic fibrosis and periacinar fibrosis. jaundice caused by disease of hepatic parenchyma in contrast to hemolytic and obstructive jaundice. death of hepatic parenchyma which may be single cell (necrobiosis), or multicell in piecemeal, focal, periacinar, midzonal, periportal or paracentral locations. Massive necrosis refers to events in individual acini in which all hepatocytes are dead. abscess resulting from infection of the umbilicus and direct vascular extension to the liver. fibrosis limited to the zones around hepatic venules; a response to congestive heart failure or to intoxication. the intralobular vascular supply system; lined by endothelial cells and stellate macrophages. Some rare but possible CD variations were described in the literature  including (1) parallel cystic and common hepatic ducts; (2) low confluence of the CD; (3) adherence of the CD to the common hepatic duct; (4) high confluence of the cystic and common hepatic ducts; (5) absent or short CD; (6) double CDs; (7) CD drainage into the RHD; (8) CD crossing posterior to the common hepatic duct and joining it anteriorly; and (9) CD crossing anterior to the common hepatic duct and joining it posteriorly. 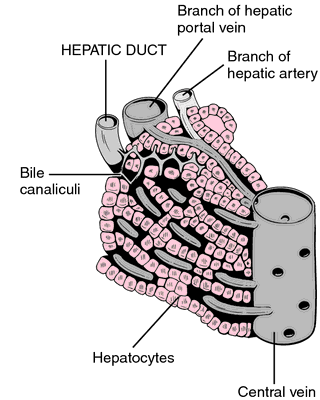 Bile ducts draining segment I are closely related to the confluence of the right and left hepatic ducts. It is excreted into the hepatic ducts by the liver and then into the intestinal tract to give stool its color (Frazer, 2000). The height of the injury is usually referenced by using the Bismuth scale, which gauges an injury based on its location in relationship to the confluence of the right and left hepatic duct. Common hepatic duct is formed by the union of right and left hepatic ducts. Leak rates are also higher when LR is combined with resection of the hepatic duct confluence with complex hepaticojejunal anastomoses. An ultrasound of biliary tree showed gallstones with dilatation of hepatic duct and intrahepatic biliary tree. 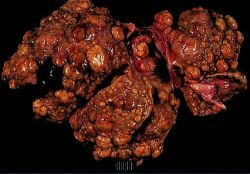 Two hypodense ellipsoid cystic structures were noted in GB fossa with two cystic ducts joining to form a common duct, which communicates with the common hepatic duct to form the common bile duct. 09%) including 6 cases of common BDI, 2 cases of common hepatic duct injury, 1 case of right hepatic duct injury, 1 case of accessory right hepatic duct, 1 case of aberrant BDI 1 case of biliary stricture, 1 case of biliary duct perforation, 3 cases of hemobilia, and 4 cases of bile leakage. This cholangiogram finally resolved the diagnostic conundrum and illustrated a completely transected left main hepatic duct without any communication to the remaining part of the biliary system (Figure 1-C).